Just what you do, when you have a spare half an hour. It can be dangerous when I have time on my hands! 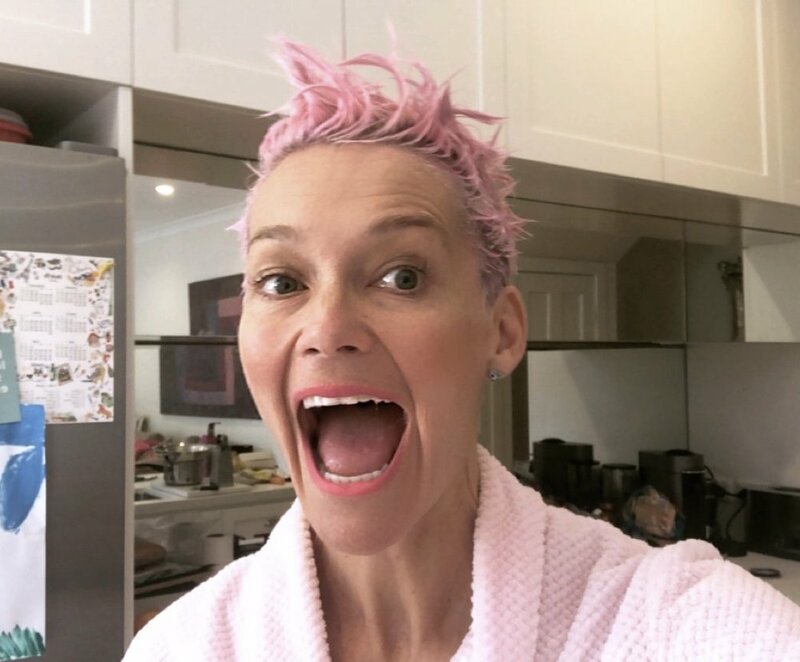 Since leaving Studio 10 I have been running riot with my hair. 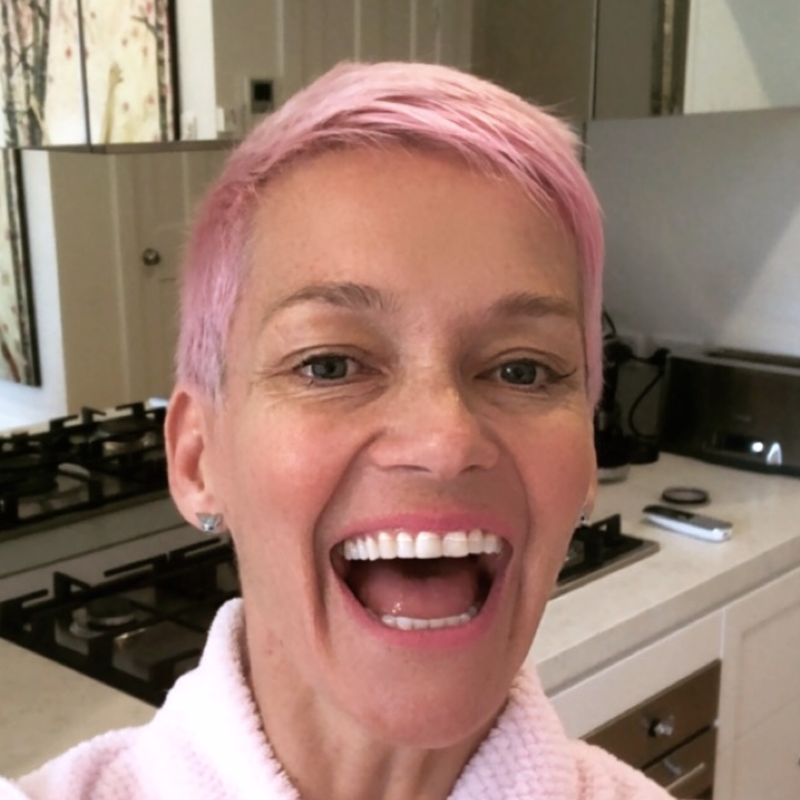 I used to push the envelope a little when I was on the telly, with a pink/purple rinse that would stay a little longer in my short hair after a break (and there's nothing like some pink shampoo to continue the life of holiday hair). My daughter was home sick today, so the pair of us were house bound. By midday I'd run out of arguments with my eldest about why the Kardashians aren't good role models. That answer was enough to stop my daughters requests. I'm lucky to have the experts in my corner. And it's not just make up experts but thank goodness for the hair gods! I've been going to the same hairdresser, Pierre Scarpa, for twenty seven years! I joke with him that it's the longest relationship I've ever had with a man. We first met through my then boyfriend, a dark and handsome man, with zero sense of humour. I'm sure he got jealous when Pierre and I would laugh and laugh. Pierre began cutting my hair soon after we met, when he told me that my haircut was terrible and he'd do a much better job! And Pierre was right, through (my) acne, broken hearts, bad choices, engagement, marriage, pregnancy and kids, he is still cutting my hair! Earlier this week I attempted a home colour job and it only lasted 24 hours and I looked like a pink, patchy leopard from the back! Not surprisingly my patient husband hates my hair pink. But I'm a stubborn soul, and when someone tells me not to do something, I want to do it more!! So that's why I added that colour that I picked up at the chemist. It vaporised in less than 24 hours! (thanks to Petee's relief)That is the joy of pastel, pretty hair colours as they fade super fast. On Mykey's recommendation I applied Manic Panic NYC , Amplified Squeeze Bottle in cotton candy. Blurry as its hard to do 2 things! Do you find the older you get the more adventurous you become in life?